More Horizon Sdn. Bhd. was established in 2002. 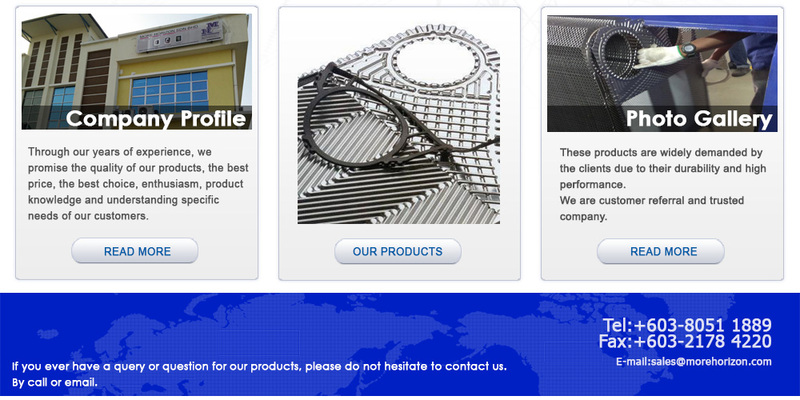 We are sold agent and service provider for plate heat exchanger, water maker, pump & filters. Our company is located in Klang, Selangor, Malaysia. We are registered with Ministry of Finance Malaysia, Petroleum Nasional Berhad (Petronas), and Tenaga Nasional Berhad (TNB). Our company objective is to give the best quality product & services for our customers. With our vast experiences, we believe in bringing value added services to our customers via our professional service team.